TA300 is ready to be used straight out of the box without any hassle of wiring. Just place it on a surface, and it’s ready to go! TA300 has a built in battery that can last up to 5 hours under normal usage. So no need to worry about power cuts or lack of power supply points anymore. Uploading and downloading of data is possible with TA300. Data management is done simply with a USB cable. Get ready to Plug & Play! TA300 gives you an option of identity verification through fingerprint scanning or password. On top of that, fingerprint verification is done within a second! The TA300 has a wide base for stability, and is designed to be placed on a flat surface. This makes it suitable to be used in almost any businesses and centres. 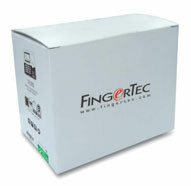 TA300 may look small and compact, but it is able to store 500 fingerprint templates, and 30000 transactions at one go. This means less frequent downloading of data for you. 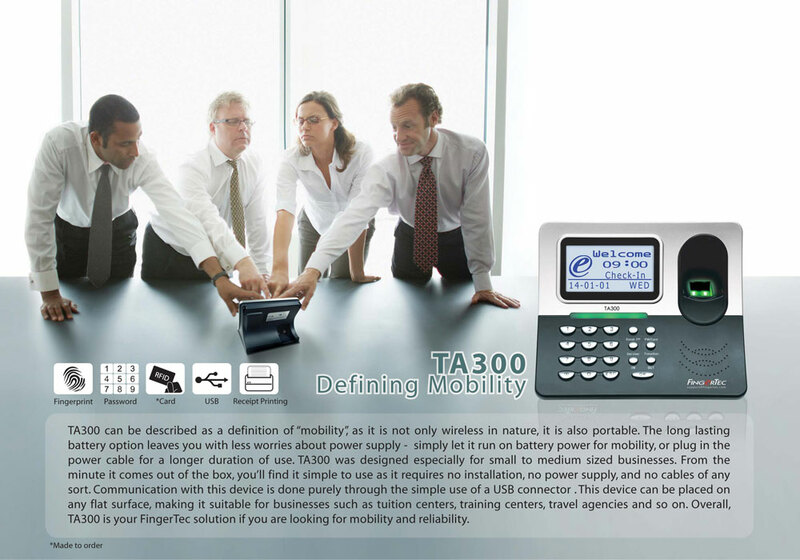 The TA300 was created especially for small to medium business sizes. Having said so, you’ll find that the TA300 is a value for money as it is highly affordable at a very competitive price. 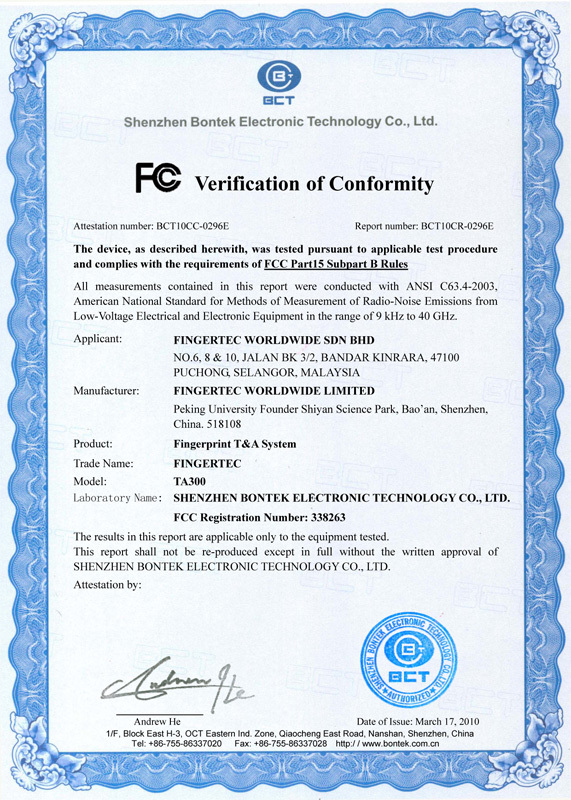 VOICE / DISPLAY LANGUAGE (TERMINAL) English (Standard), Arabic, Indonesian, Chinese (Traditional), Chinese (Simplified), Cantonese, Vietnamese, Spanish, Portuguese (Portugal), Portuguese (Brazil), French, Persian. Other languages are available upon request. NOTE: Specifications are subject to change. 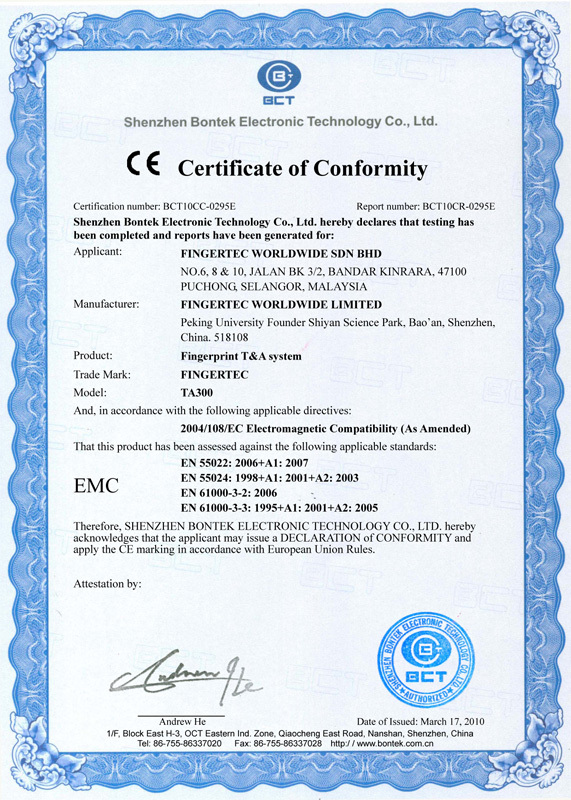 Check https://product.ingertec.com for latest product information.